Forty years ago, Neil Diamond released the legendary live album Hot August Night, which went on to sell millions of copies and solidify his icon status. Host Tony Sarabia and WBEZ’s Richard Steele play tracks from some of their favorite live albums and talk about what makes them exciting for some and frustrating for others. And, Sam Moore of the 60s R&B act Sam and Dave stops by to talk about his career in music, in advance of his Thursday and Friday shows at the City Winery Chicago. Forget for a moment Will Ferrell’s hilarious skewing of Neil Diamond and look at the man for what he is: a kitschy showman with a fondness for glitz. Oh wait, isn’t that the Neil Diamond as portrayed by Ferrell? Well yes, but beyond the façade is a talented songwriter who gave us a number of hummable tunes such as "Holly Holy," "Solitary Man" and "Red Red Wine." 40 years ago this Friday, Diamond took the stage with his 13 member band and about two dozen string players, for one of a handful of sold out concerts at the Greek Theater in Los Angeles. 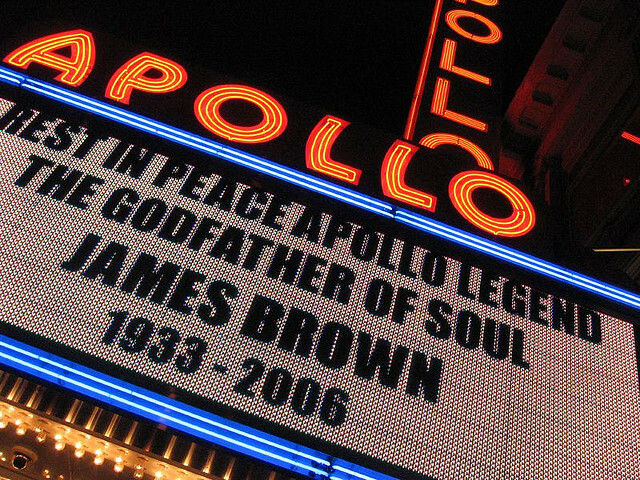 That show was captured on tape and a few months later the double live Hot August Night was released. There are a couple of things that make this album noteworthy: it spent 29 weeks at number one on the Billboard charts and the show format would lay the foundation for Diamond’s future concerts. It was an important moment in pop history that Diamond himself has recently revisited at the same theater. There are memorable moments on the album: the slow funk burn of "Solitary Man" and the gospel inflected "Red Red Wine." Having never seen Neil Diamond perform live, Hot August Night allows me to imagine me in that audience back in 1972 well before he was parodied by Will Ferrell. I’d argue that’s one of the purposes of the live album; think of all those college aged Bob Marley fanatics who close their eyes and put themselves in the audience at that 1974 show at the Lyceum in the UK. The live album provides listeners a connection to an artist/group they aren’t able to make in real time. The live album can also serve as a moment of change whether planned or not. This week, in light of the 40th anniversary of that Neil Diamond show that resulted in the double live album Hot August Night, Richard Steele and I delve into the live album and consider why our picks merit special attention. David Live was David Bowie’s first official live album and he’d be the first to tell you that it was not a good outing. He even commented on the album’s cover shot of him saying it looked like he had just stepped out of the grave. He also joked the album should have been titled, “David Bowie is Alive and Well and Living Only in Theory”. Jagger also had this to say about the album’s reception by critics: "if I got the kind of reviews that he got for that album, I would honestly never record again. Never." Good thing Bowie didn’t heed his friend’s advice because one of the things David Live represents is another one of Bowie’s musical chameleon moments. Bowie has said David Live was the death of Ziggy Stardust and although most of the tracks featured are culled from Ziggy Stardust and Aladdin Sane, those songs are re-worked to reflect Bowie’s growing fascination with American soul music; more specifically the Philly Soul sound of the Gamble and Huff years. So instead of the 1:38 second glam rock of his "All the Young Dudes" you hear on the Ziggy Stardust and the Spiders from Mars Motion Picture Soundtrack from two years earlier, you get a four minutes plus doo wop/ blues inspired take complete with saxophone and piano. It’s almost as if Bowie’s channeling not soul music but his earlier Hunky Dory days. His voice is smokey and more laid back and it does reflect some of what’s heard on Diamond Dogs, the album that was released a few months before David Live. But again, it was soul music that was on Bowie’s mind and that infatuation would lead him to record his “plastic soul” Young Americans album in mid-tour, renaming the tour Philly Dogs. David Live - like many live albums - has its ups and downs, but it’s an important release in the rock genre because it serves as an historical document in Bowie’s long career. Talk about a comeback! And even the album cover is a work of art ( I have a reproduction hanging in my living room). The Judy at Carnegie Hall concert comes six years after her triumphant screen portrayal as Esther Blodgett in the 1954 movie A Star is Born. But lots had changed for Judy Garland since that stellar performance; by 1959 she was more heavily into drugs and booze and she had become overweight. She decided to hire a vocal coach and get back into shape physically and mentally. So by the time she hit the stage at Carnegie Hall on the night of April 23rd 1961, she sounded in top form, with a new maturity to her voice. That evening has been called the greatest night in show business history. It’s been noted the success of that night was not only due to Garland’s superb voice but her ability to connect with the audience. Even Hedda Hopper, the hardnosed gossip columnist, said, "I never saw the likes of it in my life." Judy at Carnegie Hall includes what I think is the tour de force from A Star is Born, "The Man That Got Away." She brings the listener back to that little nightclub in the movie. Wow, what a performance! Judy Garland was the first female artist to win a Grammy for Album of the Year and Judy at Carnegie was the first live album to snag a Grammy. In 2006, Rufus Wainwright paid homage to Judy Garland and that special night in 1961 by recreating song for song that the Carnegie Hall performance. As you can hear from June Carter’s comment at the beginning of "Jackson" from the 1968 live album At Folsom Prison, this wasn’t the first time Johnny Cash and his crew had played Folsom State Prison in Represa California. Cash loved playing for the inmates. He said they were the best crowd to play for because of their enthusiasm and you can certainly here their appreciation during this rousing take on the Cash hit. 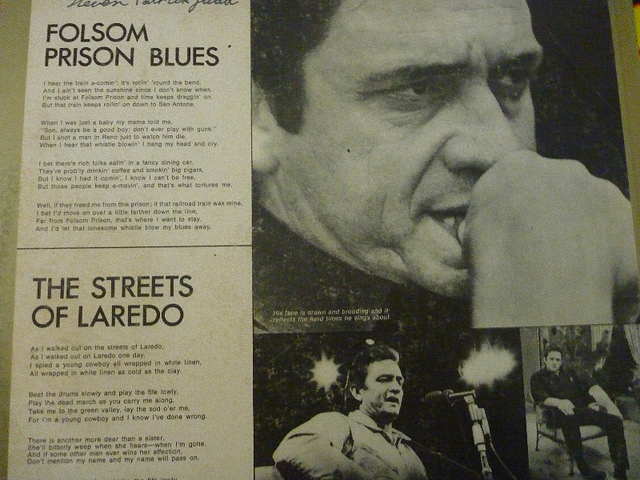 The lead off tune on the album is Cash’s 1955 hit "Folsom Prison Blues." The live version hit the Top 40 charts and along with favorable reviews of the album, Cash’s waning career was revived with him once saying, "That’s where things really got started for me again". By August 1968, Folsom had sold over 300,000 copies; two months later it was certified gold by the Recording Industry Association of America. Cash’s 1969 follow up “At San Quentin”, would be his first to hit number one on the Pop Chart. Sam Cooke was a stand-out vocalist whose dad was the minister of a South Side church. Cooke’s early successes were the result of his commitment to gospel music. But in the mid-‘50s, he made a very controversial switch to R&B music with the monster hit “You Send Me.” Cooke’s music was mostly mellow and well-suited for the pop music charts. His 1964 album called Sam Cooke at the Copa became a No. 1 hit. Critics weren’t very impressed: They said his performance was “Sam Cooke light” to please the mostly white audience at the Copa. “Diminuendo and Crescendo in Blue” by Duke Ellington and his orchestra with a fabled tenor sax solo from Paul Gonsalves…from the album Duke Ellington at Newport. Duke Ellington was one of the most celebrated bandleaders of the 20th century. The orchestra had fared well thru the ‘20s, ‘30s and ‘40s, but by the mid-1950s, the new thing was rhythm & blues and rock and roll. Large jazz ensembles were just about passé. The Ellington Orchestra had been reduced to playing a skating ring gig. Then along came the 1956 Newport Jazz Festival. What happened there with Duke’s orchestra was the stuff of legends. On the final performance one night, they played a charged-up version of “Diminuendo and Crescendo in Blue,” which included a 27-chorus solo by tenor saxophonist Paul Gonsalves. The 7,000 people who caught that performance went crazy! They were so pumped up that the festival promoter feared there might be a riot. Duke Ellington was back! There’s an ironic twist to this story. There were some technical problems with the recording and a few other things that Duke was not happy with, so they went into the studio the next day and re-recorded some performances with dubbed-in canned applause, simulated live ambiance and reverb and also recreated announcements. So in reality, the album was only partly live. It was many years before most fans knew the truth … but for most, it didn’t matter. It was still a great recording.